The rigour of our judging process, and the authority, credibility and expertise of our judges make Recruiter’s Awards well worth entering and winning. Through our Awards, we support and cheer on recruitment professionals, and those who supply them, in driving standards ever higher in what is arguably the UK’s most dynamic and exciting sector. From previous Recruiter Award winners to leading experts in all aspects of ‘best practice’ and innovation in recruitment and resourcing. Experts in the recruitment M&A arena and finance also play critical roles in our judging process, to closely examine the financial soundness of recruitment businesses considered for Recruiter Awards. Join our ‘celebration of innovation’, along with our judges and myself, and showcase your achievements. Greg has worked in Recruitment for over 20years. Starting his journey from a resourcer in agency, working through an RPO and then onto in house. From recruitment Greg has developed his skills in HR and workforce planning; opening offices in China, Korea and India as well as re-architecting RPO designs delivering cost savings to businesses. 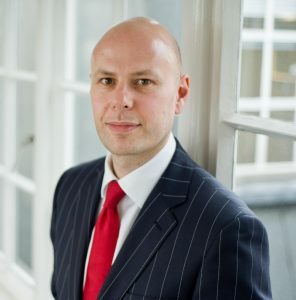 Recently he has focused on Recruitment technology, sponsoring disruptive ideas and is a keen early adopter, developing his own algorithm to support resource planning, which supported his win in 2015 as In-House Recruitment leader of the year and since then has contributed to the Recruiter for the last 2 years on his insights and market trends. Gavin was one of the original founders of ThirtyThree back in 1998 and has helped the company develop over that time into the 150 strong, global employer branding specialists they are today. 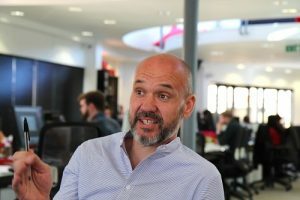 As Group Managing Director, Gav heads up the business, making sure they continue to spot opportunities, grow into new areas, create an exciting place for their people and deliver amazing work for everyone on an enviable client list. Gav currently resides in North London alongside a wife, daughter and senile cat. Alex Arnot is a recruitment-specific board advisor and has worked in the staffing sector for almost 20 years. Via his company MyNonExec he is currently the board advisor for a portfolio of 35 staffing companies globally with a combined £30M+ EBIT and 1,000+ recruiters across 75 offices in 15 countries. He helps start-ups to award winning multi-nationals and has advised on the growth and exit strategies of over 100 more. Alex specialises in building, implementing and delivering strong - often accelerated - growth and leadership strategies for staffing companies that actually work regardless of their size, specialism or experience to date. Alex has over 120 recommendations on LinkedIN. 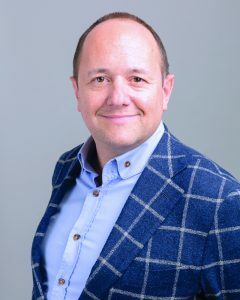 Toby started in the recruitment sector in Jan 2000 and grew to senior management positions in two major, listed brands before launching Harrington Starr in 2010. The Financial Services Recruiter now has offices in London, New York and San Francisco, has launched three subsidiary brands and won 8 major awards in 2018. Toby hosts 2 youTube channels, Fintech Focus TV and Recruiter 360 TV, is the Chairman of the Fintech Influencers, publishes 2 tech magazines (The Financial Technologist and The North Starr) and was crowned Agency Leader of the Year in the 2018 Recruiter Awards. 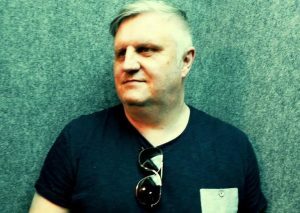 Mike has worked within the recruitment industry since 1995; initially as a top-billing consultant before moving on to a managerial and directorial role with an AIM listed recruitment company. In 2014 Mike founded 3R to help top recruiters set up & run their own business in niche markets. 3R has combined technology, finance and recruitment experience to help dozens of recruitment entrepreneurs start up their own business and experience explosive growth. Founded Phaidon International in 2004 and exited in 2018 through a majority sale to Quilvest Private Equity. Founded Phaidon International in 2004 and exited in 2018 through a majority sale to Quilvest Private Equity. Currently an investor across multiple sectors including property, logistics and technology. Having recently left the role of Chief People Officer at Sthree, I now specialise in supporting CEO’s and boards to develop their people strategy. leaders looking to become board ready. I started my career as a recruiter at SThree with Recruitment Specialists Progressive in 1994. 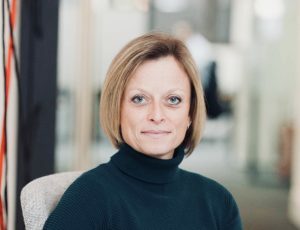 In 1997, I was the founding Managing Director of Pathway (now part of Real Staffing Group) and headed up SThree's first office in the Middle East in 2008.
in 2011 I established the 'Identity programme' for SThree, a programme designed to support the development and progression of women within the organisation. In 2014 and 2015 SThree were recognised by The Times in their Top 50 Employers for Women, with myself personally being named Opportunity Now’s Diversity Champion. I was also a founding member of Women In Recruitment, of which I am now the Chair. Between 2008 and 2011, I sat on the board of APSCo (Association of Professional Staffing Companies). Iain started his recruiting career in 2005 as a Rec2Rec before moving into Technology & Consulting recruitment. Iain started his recruiting career in 2005 as a Rec2Rec before moving into Technology & Consulting recruitment. 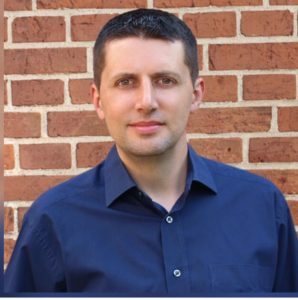 He has both worked in and led agency, RPO and internal talent acquisition teams. 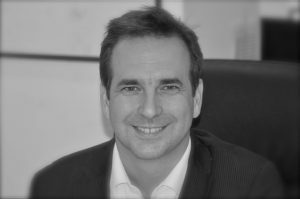 Martin Dangerfield is the Global Head of Recruitment & Talent Acquisition Leader at DANGERFIELD Global. Cynthia V Davis is the founder and Chief Executive of diversity and inclusion consultancy firm, BAME Recruitment, and has over 18 years’ experience at senior level, a specialist in identifying diverse talent and understanding their barriers. James is a M&A director and also leads the BDO M&A national human capital sector team. 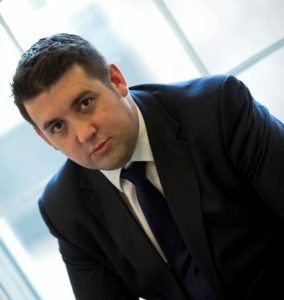 In his role James provides specialist corporate finance advice to owners and entrepreneurs of recruitment companies. This advice includes assisting businesses with growth via development capital or acquisition, to helping shareholders de-risk by providing access to mid-market Private Equity funds or ultimately connecting recruitment companies with UK or international trade buyers. 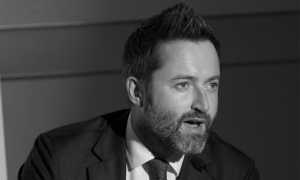 James regularly attends recruitment and employment related industry events and has been keynote speaker on several occasions over the last few years, including judging at The Recruiter Awards in May 2018. Brendan is responsible for setting the vision and strategic direction of the company, directing the leadership team, and building company culture. Brendan sold Initio International to Staffing 360 Solutions in January 2014. 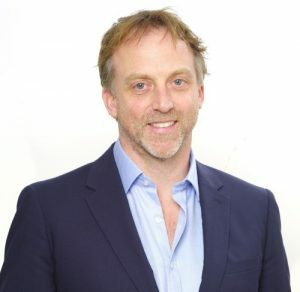 Prior to Initio, he spent seven years at Hudson Global, Inc. (Nasdaq: HSON) in various roles in Europe and the United States, culminating with Brendan leading the company's IPO and listing of its common stock on the Nasdaq National Market in 2003. 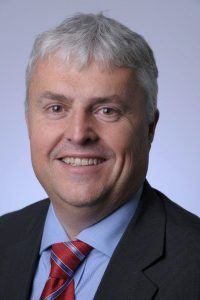 During 2004 and 2005 he was the CFO/COO for Hudson North America, and returned the business to profitability after several loss-making years. Prior to the IPO in 2003, Hudson was part of what is now Monster Worldwide, Inc., the parent company of Monster.com. As part of the global realignment of Monster Worldwide, Inc. in November 2001, Brendan became CFO for all of the company’s operations in the Americas, which amounted to $1.8 billion of annualized revenues. 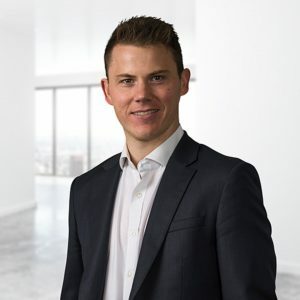 He has lived and worked in several different countries, has a strong background in M&A and he graduated from Dublin City University (Ireland) with a Bachelor of Arts degree in Accounting and Finance. Twenty years in recruitment founded and grew. Staffgroup (Eurostaff And Earthstaff) to a multi award winning international recruiter with offices in Uk, Germany and US. Twenty years in recruitment founded and grew. Staffgroup (Eurostaff And Earthstaff) to a multi award winning international recruiter with offices in Uk, Germany and US. Exited the business in an all cash deal in 2015. Currently owner of Umbilical and UV recruitment businesses. I've worked in People, Culture, and Talent across industries, companies, continents, and verticals since before I completed my undergraduate. I'm driven and ambitious, moving from a traditional HR graduate position in Australia, to Head of Talent at one of the world's most renowned advertising agencies in my short, but very busy, career. I am passionate about people and culture and still have a lot to learn, so I'm always striving to go above and beyond my day to day role, and you'll see me at conferences and events around London and the UK. Prior to moving to McCann, I am proud to call myself an alumnus of the senior leadership team of UK Tech Track #1, Google Ventures portfolio business, Wonderbly. 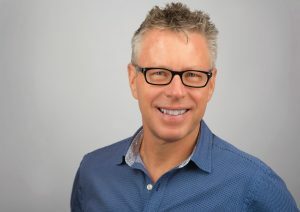 Kevin Hough is an experienced Talent Acquisition leader who has a passion for recruitment, employer branding and demonstrating the “value add” a strong Talent Acquisition function can have on a business. Previously Head of Talent Acquisition (UK & Ireland) for PepsiCo and Head of Resourcing for LV=; Kevin has led teams to success at the Recruiter Awards a number of times, including Best Team and Development of Employer Brand. Kevin has now set up his own Talent Acquisition consultancy which enables him to work with teams across the globe and perform interim roles to deliver exciting projects. Isabelle has an extensive background and network within Talent Acquisition industry. Isabelle has an extensive background and network within Talent Acquisition industry. Nominated by Recruiter.co.uk as 1 of 11 most influencial in-house talent acquisition experts, and part of the UK Resourcing Leaders Top 100. Isabelle has globally designed and implemented, successful innovative talent acquisition solutions. 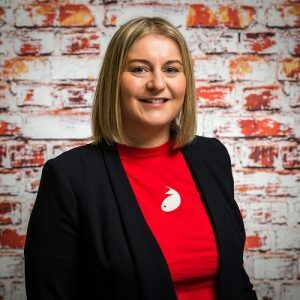 An industry professional, comfortable working with c-suite executives and operational leads, coming with a product marketing mindset, that has 360 degree experience of all recruitment and branding disciplines; her experience being drawn from working in both in-house, RPO, employer branding and consultancy companies. 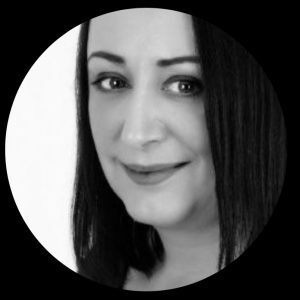 With over 15 years of experience as a senior resourcing leader, Katrina is highly in demand globally as a speaker and thought leader. 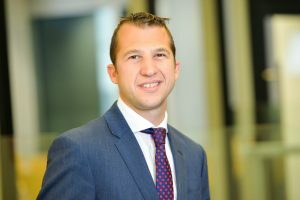 Mark has worked in corporate finance for over eight years, originally at a regional boutique before joining Clearwater International in 2014, as the business services analyst. Mark is responsible for understanding the sector dynamics and is heavily involved in building relationships with leading corporates and prospecting with interesting owner-managed businesses. Mark has worked on a range of transactions in the recruitment sector, including the sale of Pro Clinical to ICS, Brightwater to Capital Step and Synarbor (EPG) to Sovereign Capital. Wendy steers the good ship Firefish every day, but that's not everything! There are definitely many things she has to do but her main priority is to create an innovative environment that allows the Firefish team to be awesome at their jobs and channel their energy into building an amazing product. She loves working in the recruitment tech sector, and all the amazing people she interacts with. A regular judge and speaker in the recruitment space. Wendy gets excited when she sees a company demonstration innovation, something new and is backed up with results. 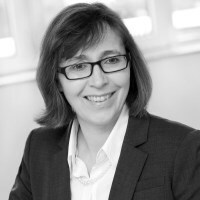 Tara is a highly experienced recruitment leader with over 20 years experience across professional sectors. 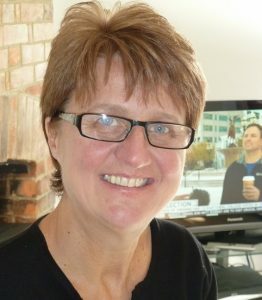 Tara is a highly experienced recruitment leader with over 20 years experience across professional sectors. She has a proven track record in leading and growing successful sales teams, developing strategy and driving new business lines and markets. 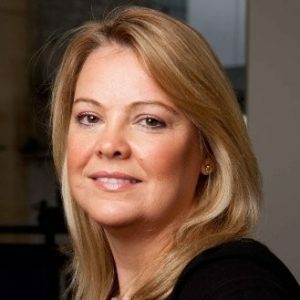 Tara developed and managed, as Managing Director, award winning finance recruiter Joslin Rowe Associates where she was instrumental in growing the business to become the largest privately owned recruiter in the field of financial services, at the time of sale to Randstad in 2008. Tara is skilled in recruitment markets covering Professional Services, Financial Services, Interim, Legal, and Finance. Emy is a force of nature. Her energy is high and her outputs many. 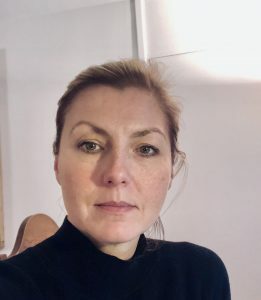 Emy has a history of working with fast paced businesses such as GroupM - to change their people agenda and ensure excellence and engagement is at the heart of every business. 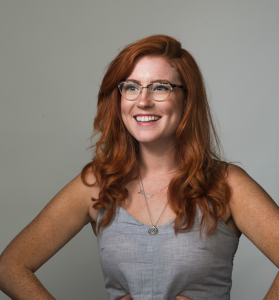 At Benevolent AI Emy is accountable for everything people related from how talent is acquired into the business to how we retain our people and how we advance and grow our people. 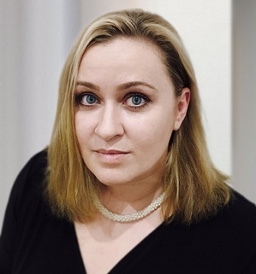 Emy has a keen focus for inclusion and diversity in business and prides herself on driving change within organisations so that people are embracing all and exploring their hiring strategies historically so that change is a given. Former MD of Monster UK and Johnston Press (JobsToday and TheSmartList) and CEO of fish4. Recently launched the beta version of 'Joe 4.0' whereby he performs a variety of consulting, advisory, speaking and NED roles for recruitment industry customers looking to prosper in the challenging times that lie ahead. 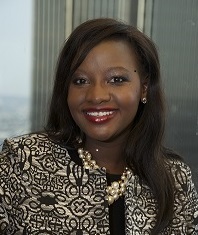 When working full time, I was Executive Director at UBS running Client Services. I retired 16 years ago. When working full time, I was Executive Director at UBS running Client Services. I retired 16 years ago. I am currently a trustee of 3 charities, a director/owner of a children’s nursery and Chairman of a Limited Company which is a wholly owned subsidiary of a national charity. 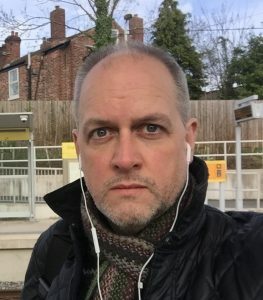 Glenn Southam is one of the most experienced recruitment marketers in the industry, working with several Recruiter Award-winning agencies for almost 15 years. From setting up marketing functions from scratch, through to leading international multi-disciplined teams, Glenn knows what works (and what doesn’t) when it comes to building strategies and campaigns that deliver results to the bottom lines of recruitment businesses. Having played a leadership role in both high growth companies and those that have been involved in mergers and acquisitions, he actively champions the function of marketing as a profit-enabler rather than a cost centre. 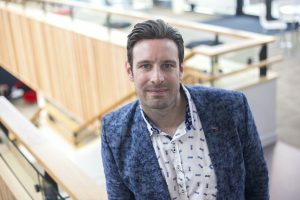 In 2017 Glenn founded TwoEnds, a marketing consultancy that works with recruitment business leaders and marketing experts. TwoEnds’ mission is to bridge the gap between sales and marketing. They create and execute marketing plans and strategies for companies of all sizes that align with their business objectives - whatever they may be. 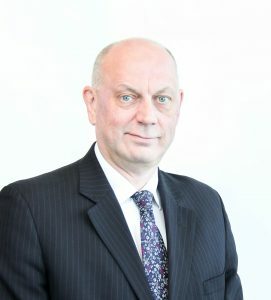 Mark joined Hays in 1985 as a trainee consultant. In 2000, he launched Hays Education with just six recruiting experts. 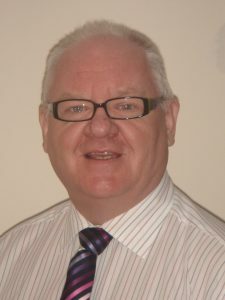 Mark joined Hays in 1985 as a trainee consultant. In 2000, he launched Hays Education with just six recruiting experts. By 2007, it had become the market leading education recruitment consultancy in the UK with a turnover of £70m, and employing 250 staff. 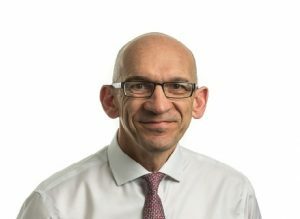 He was appointed as Managing Director of Hays Midlands in 2011, and in 2015 was also appointed Regional Managing Director of Hays City of London business, based in Cheapside. I have been the MD of LMA since 2005 and have over 25 years of experience of working in the staffing industry. Since 2005, LMA has grown into an award winning business, employing over 80 people with a turnover in excess of £15,000,000 pa. I am passionate about the recruitment industry and I love what I do. I still get as excited now about a new client win as I did when I ran a successful banking desk in the 90s! Outside of work I am a busy dad, with 2 young kids and love eating and drinking! He spent four years at the Co-operative Bank before joining Auto Trader in 2014 where together with his brilliant team he focuses on creating a space where everyone’s uniqueness is celebrated and is empowered to thrive by being their authentic, true and best self. Driven by his passion for equal opportunities for all people, he leads the D&I and CSR strategies of one of the most admired digital businesses in the UK and 2018 Top 50 Inclusive Companies. 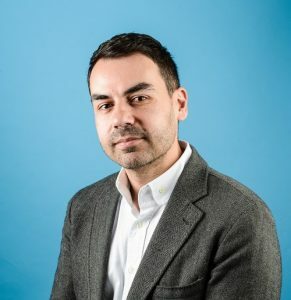 Born in Athens and moved to the UK in 2002 to complete his MSc in Human Resources at The University of Manchester after completing studies at the American College of Greece and the London School of Economics; he fell in love with the city and its people so he decided to make it his home. Freelance journalist, specialising in recruitment and people management technology, workplace issues, and management and leadership. Freelance journalist, specialising in recruitment and people management technology, workplace issues, and management and leadership. Have been contributing to Recruiter magazine for more than 10 years and write the magazine's regular tech&tools page. Robert is widely acknowledged as the go to recruitment marketing expert. He has been marketing in the recruitment and staffing industry for over 15 years. 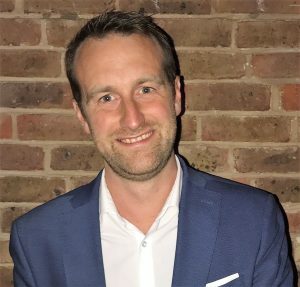 He has been marketing in the recruitment and staffing industry for over 15 years, first working in house (from start-ups through to the global players and everything in-between), and latterly as the founding director of The Marketing Junction (a marketing consultancy solely for the recruitment industry). TMJ provide strategic direction in order to drive sales, client and candidate focus, and profitability across a business by delivering marketing excellence. A recruitment agency will choose TMJ because they understand recruitment, have many years of experience in the sector and enjoy a huge network of contacts. 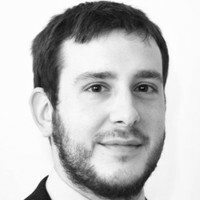 Robert also takes an active role in advocating for marketing within the recruitment industry. He is passionate about the recruitment industry and all things marketing. He believes that recruitment agencies need considered marketing strategies and actionable plans, alongside tangible returns on investment, in order to compete.